bold flavors of thai cooking. 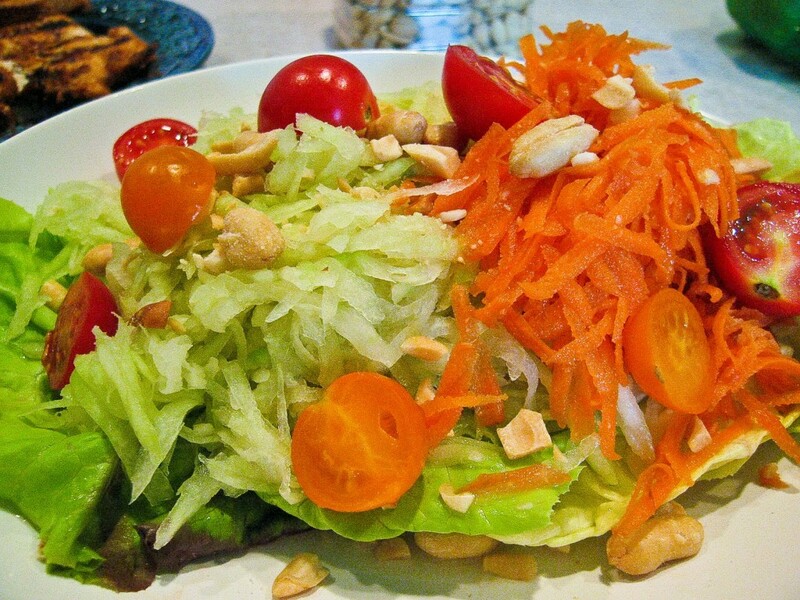 healthy thai food is delicious and beautiful. In a mortar, roughly pound the garlic and the chilies with a pestle. Add the chopped beans and pound until crushed. Add the palm sugar, soya sauce, lemon juice and fish sauce and stir well. Add the tomatoes and press gently with the pestle. Add the peanuts and the papaya and stir until well mixed. Add more lemon juice and palm sugar, if required and serve cold. 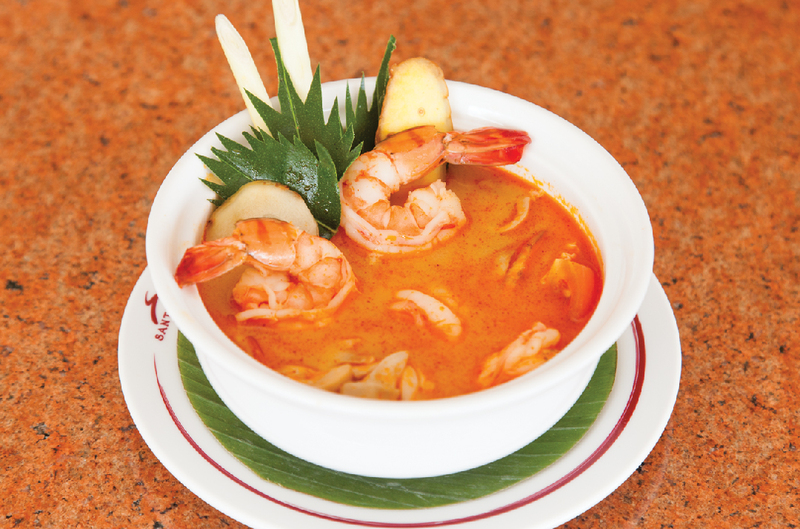 This lusciously creamy and aromatic soup made with coconut milk is a milder version of the more popular tom yum soup. Infused with galangal, lemongrass and kaffir lime leaves, it is a fitting start to any Thai meal. To make the stock, boil all the ingredients in 2l water for approximately 30-45 minutes or until it is reduced by half. Strain the stock and keep aside. To make the soup, boil the kha stock and add the lemongrass, galangal, kaffir lime leaves and chilies along with the fish sauce and simmer for 5-7 minutes. Add the prawns and button mushrooms. Stir in the curry paste, coconut milk and lime juice. Remove from the flame and serve garnished with galangal, chilies and coriander leaves.